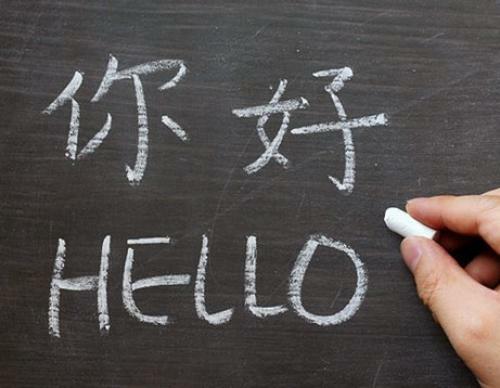 As a result of globalization and technological progress, English as a language started to be widely learnt and taught. Throughout history, that language was influenced by other languages such as French and German. Baugh et al (2002) have explained the idea that today's English language is resulted from centuries of political development and social events which affected the English history and as a result they had an impact on the English language. The history of the English language can be summarized in four phases of evolution: Old English, Middle English, Early Modern English, and Present-Day English. Old English is the language used between 450 AD and 1100 AD, the period from 1100 to 1500 is Middle English, Early Modern English was used between 1500 and 1800, and the period since 1800 is Present-Day English. The Roman conversion of the church of Britain in 597 AD, made contact between England and Latin civilization and made some additions to vocabulary. The Scandinavian invasions had an influence, in addition to the Norman Conquest, and later, English changed in both form and vocabulary from what it had been in 1066. In a similar way, the Hundred Years' War, the Renaissance, the development of England as a maritime power, the expansion of the British Empire, and the growth of commerce and industry of science and literature have contributed to the development of the English language (Ibid). The political and cultural history of the English language is not simply the history of the British Isles and of North America, but also the history of some societies which have driven the language to change. Much of the vocabulary words of Old English has been lost and new words were born. Change of some words in meaning can be illustrated in the Shakespearean language, for example Nice in Shakespeare's time meant foolish; rheumatism signified a cold in the head. Richards and Rodgers (1986) emphasize that English is nowadays the most studied foreign language, but five hundred years ago, Latin was dominant in terms of education, commerce, religion and government in the western world. It is commonly believed that English is becoming a widely used language, and through it, one can participate in a variety of social activities, because language is more than simply a way of expression, it helps people form relationships and know how to interact in different social contexts depending on sociolinguistic situations. English is one of the most important languages of the world. As stated by Baugh (2002), it is spoken by more than 380 million people in the United Kingdom, the United States, and the former British Empire. It is the largest of the Western languages. Many people are aware of the value that the English language has in today's world. For that reason, the demands for learning it are increasing every day. There are different factors which make that language dominant and important; some people see it as their window to the outside world in the sense that they can use it as a medium of communication with others from different countries because it is widely spread. Others believe that through that language they can check recent researches and read books from other countries so it represents for them a source of knowledge. It is widely recognized that the English language is becoming an effective means to communicate, to participate in international business activities, and to obtain information about the events all around the world. In her book "Teaching English Overseas", Mckay (1992) demonstrates that the reason for the widespread of English is the belief that a certain proficiency in that language may provide social and economic gains. To know different issues about the English language in Algeria, one should first know something about the sociolinguistic situation in that country. Understanding how the social environment works in terms of languages facilitates acquiring knowledge about English, its status, when and how it is used. Since the dissertation is concerned with teaching English as a foreign language, the researcher seeks to explore how English is taught in Algeria and at which level. The sociolinguistic situation in Algeria can be a topic of inquiry for many sociolinguists. Why? Because there are different languages used in the Algerian society. It is worth remembering that the official language of Algeria is Modern Standard Arabic that is recognized by the constitution as the language used in administrative papers. MSA is a standard language with its grammar, rules and dictionary. It is considered as the medium of instruction especially at the first stages of institutional education. Algerian Arabic is also used by the Algerian speakers; this refers to the dialects used for daily communication. It is a non-standard language since it has no grammatical rules, no dictionary, and no written form, and it is not official. A group of people (the Amazigh), use a language called Tamazight. Now it started to be taught at schools, and it has a national status, whereas French is considered as a second language, which starts to be taught at the Algerian primary schools (3rd year primary school). Because of colonial reasons, French influenced Algerians i.e. some people use it as a means of daily communication. Concerning English, it represents a foreign language for the Algerians. It is not taught at the primary level, but starts to be taught at the middle school level (1st year middle school). Teaching English to non-native speakers is a challenging experience for teachers. TEFL refers to teaching English in formal contexts and English in that case represents a foreign language for learners. Stern defines language teaching as the activities which are intended to bring about language learning (1983: 21). In other words, language teaching is more than instructing a class, it is a process which involves different activities, and it is the responsibility of the teacher to discover when and how to engage learners in the classroom environment. EFL teachers are interested in providing their learners with the knowledge needed to be competent to a certain extent in the target language. According to Canale and Swain (1980, 1981); to be competent is in terms of three dimensions. In other words, they have defined communicative competence as having knowledge of grammatical rules and vocabulary and they named that component the linguistic or grammatical competence. The second competence which is the sociolinguistic one, is concerned with knowledge of socio-cultural rules of the language in order to know how to use the language being taught in an appropriate way. Whereas the third is the strategic competence which is the ability to use certain strategies to compensate for breakdowns in communication. Developing communicatively competent learners is the goal that most EFL teachers wish to accomplish, but of course communicative competence is not sufficient. Learners need other dimensions to succeed, to be accurate and fluent and to achieve that, teachers are supposed to set a number of plans which should be designed with taking into consideration different goals and of course their learners levels and needs. Richards et al (2002), demonstrate that the last three decades witnessed the development of the field of TEFL, which aims at improving the quality of teaching, as well as of learning by focusing on learners' needs, their motivation, the strategies they use to learn and the processes they go through in learning, without neglecting the roles of teachers as course developers, the methods they use to transfer knowledge, and the materials they use to promote understanding. When teachers become aware of those dimensions, they can easily cope with the problems they face in their teaching career, and can find ways to help their learners cope with their learning problems in order to achieve their educational goals and tasks. Teachers of English as a foreign language are the knowledge providers for learners, they are the ones who are able to make diagnosis for the psychological elements which intervene in the process of learning; when they understand the factors affecting learners' performance they can easily make a change. Teachers are the feedback givers for their learners; when giving them feedback of satisfaction vis-à-vis their performance, learners feel that they are praised. This may encourage them to work and participate in a variety of educational activities. Good English teachers are those who engage their learners in different classroom contexts and different authentic experiences which are related to real life situations. They are those who make their learners feel that they are decision makers instead of being just knowledge receivers. Listing the roles of teachers will never finish, that is why there are many researchers of the field who every day present case studies and provide new techniques and ways to improve teaching, because teaching is a profession which is flexible and teachers are supposed to vary in the methods used, the tool, etc. Learning is a journey which cannot be completed in a short period of time; it is a lifelong process i.e. the more people learn the better they achieve personal, intellectual and professional growth, and gain social respect. When learning a language, most people wonder to guess the period that they need to become proficient, but the answer is unknown because it depends on different factors which should be investigated in order to improve the quality of learning. As any other branch of study, learning languages requires efforts and concentration, especially foreign languages, because in that case the learner is exposed to other elements in addition to grammar and vocabulary, the exposure is also in terms of culture. For that reason, learners face problems and difficulties, and it is the responsibility of instructors to help their learners find ways to solve learning problems or at least minimize them. Research findings indicate that learning a foreign language is not an easy task for learners who find themselves exposed to other components not only linguistic ones. Being exposed to a foreign language with its cultural aspects will certainly lead to learning difficulties which are considered as normal because they are part of the learning process. Learners differ in their potential and abilities that is why they differ when it comes to difficulties; some of them reach fluency as well as literacy and seem to learn with a certain ease within a few years, while others encounter problems; so the degree of difficulty differs from one learner to another depending on different variations. Research also shows that learning a foreign language entails a number of difficulties, all of which can be reduced through teachers' attempts. For example grammar can be difficult for learners in the sense that it is different from that of the native language. In addition to difficulties in the spelling system, some may find difficulty in memorizing vocabulary words whereas others who may be influenced by their native accents experience problems in pronunciation; an example of that is the distinction between the English R and L for the Japanese learners. In the process of learning, errors are seen as a process of normal behaviour and they lead to progress. However, some learners feel embarrassed or negatively judged and their affective state can inhibit their ability to grasp knowledge and participate i.e. this represent an obstacle for them. Those are some examples; mentioning the difficulties that learners of English as a foreign language face will never come to an end, because learners are individuals with different personalities and they differ also in their level; so what can be difficult for one may not be for another. Therefore, it is the responsibility of teachers to discover those features which affect the learning process. Regardless of the degree of difficulty, any learner can benefit from solutions which are created by teachers through developing their classroom practices. Being aware of those difficulties is the first step which drives the teacher to find solutions and ways to reduce them so that their learners achieve their educational tasks, reach their goals and improve their future learning performances. It can be very difficult for some learners to master the language they are learning. However, knowing how to cope with those difficulties provides many benefits, not only to fulfill their educational tasks but they also need the language to build a better professional career and have an opportunity to deal with people from other cultures with ease. In that dissertation, the researcher sheds light on one of the difficulties that some pupils witness. In the next part of the chapter the researcher presents a problematic which concerns a specific population. Richards, J, C & Renandya, W, A. (2002). Methodology in Language Teaching: An Anthology of Current Practice. Cambridge: Cambridge University Press. Richards, J, C & Rodgers, T, S. (1986). Approaches and Methods in Language Teaching: A Description and Analysis. Cambridge: Cambridge University Press.